It's 2019, average emails produce mediocre results. 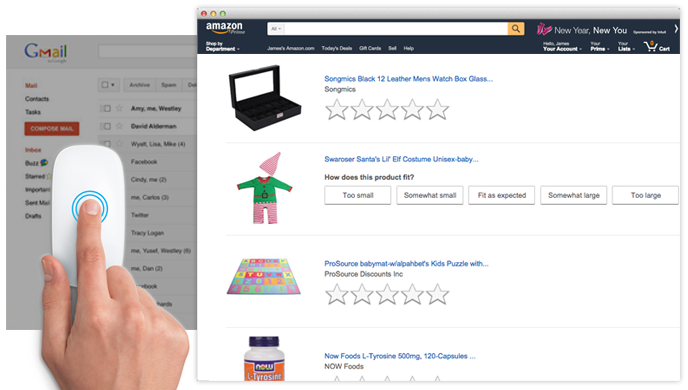 Take your Amazon brand to the next level with our obsession to details in design & impactful features. 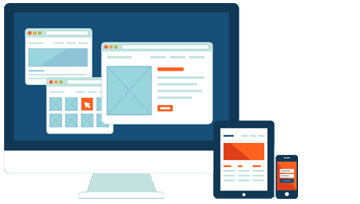 Look awesome on phones and tablets with our 100% Mobile Responsive code framework. Works perfectly on any email app: Apple Mail, Gmail, Outlook, Yahoo, and more. Clean, efficient, and 100% fully customizable; we use the latest techonology & design standards to power our emails. Editing so easy, a caveman can do it. Add images, edit colors, edit links, edit buttons, edit text, ... with a few mouse clicks. Never needing to know a line of code. 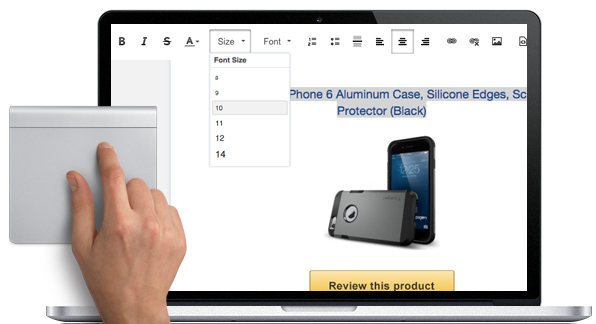 Personalize each email with buyer and product information specifically from that order using Auto Fill Tags. 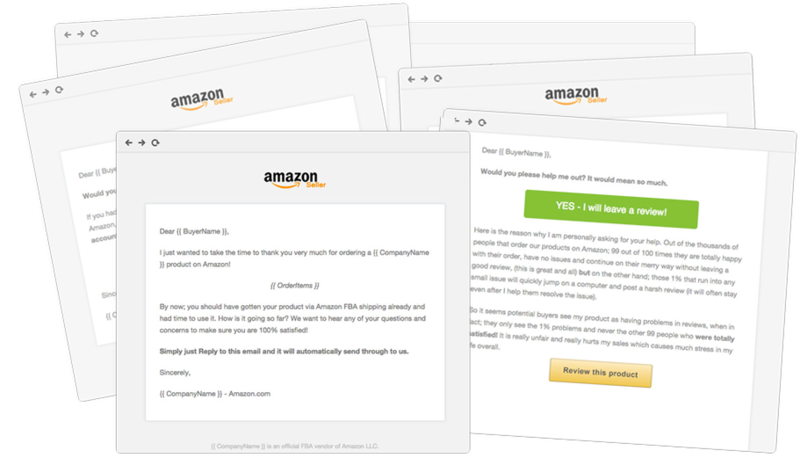 6 pre-made templates available to quickly get you sending emails right away. 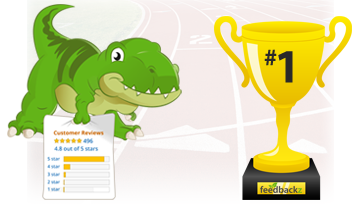 Each focuses on a goal like: general follow up, asking for a product review on a specific ASIN, etc ... Use them as is or as a guideline with your custom tweaks. View a full list of all scheduled, pending emails waiting to be sent out including send date, time, buyer, order, etc. And, once they go out, you can view a list of all those sent as well. 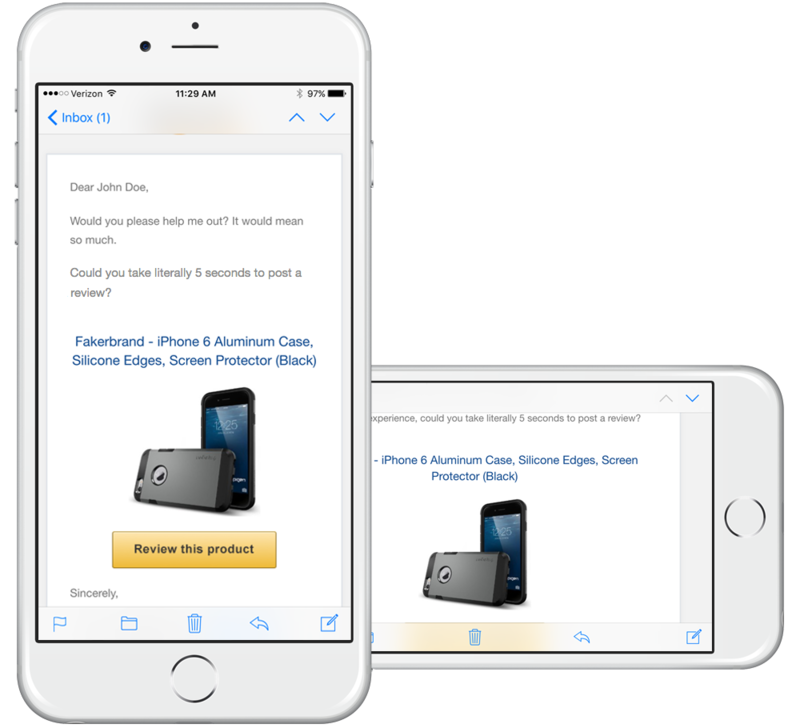 Customize an email's subject line to capture attention in their inbox and boost open rates. Deliver important files with emails: pdfs, instructions, manuals, bonus material, ebooks, images, etc,.. up to 7mb. Send yourself test emails to preview & verify before going live. Also enable Daily Monitoring which sends you a copy of emails sent daily. Timing is key. Reach the right buyers at the right time with the right messaging. Each Hunt campaign you create has it's own custom timing & order filtering that you set for sending one email - allowing you to build effective email sequences. Automate delivery times by setting the trigger to start scheduling after an order reaches a certain status: confirmed, shipped, or delivered. 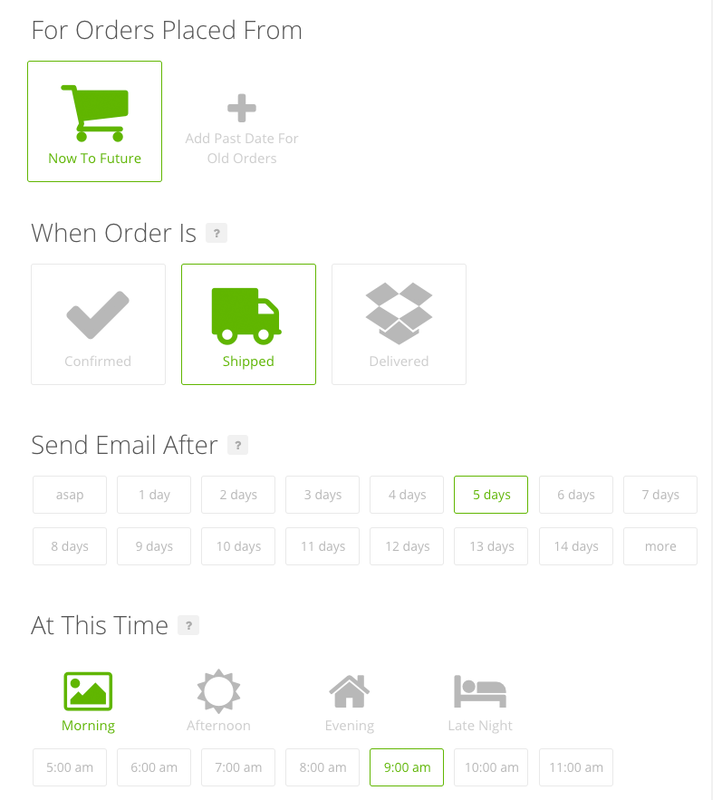 Setup the send date by choosing how many days to wait after an order reaches a certain status. Choose the exact hour of the day you want emails to hit inboxes for the most optimal open & click thru rates. Back track and include sending to older orders up to 200 days ago from the current date. 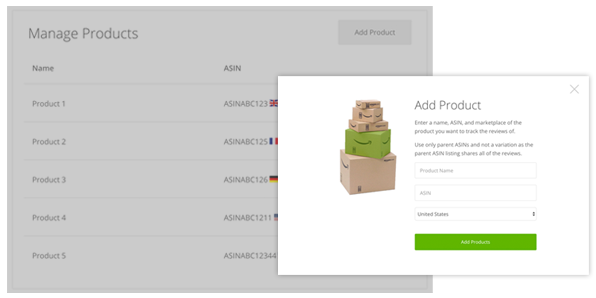 Filter by ASINs - choose to send an email template to only orders that contain specific products or exclude specific products. Target promo code reviewers with their own set of custom emails by filtering orders accordingly to total price. Isolate and only send to those buyers with repeat orders, only first time buyers, or both. Pick whether you only want orders that are Fulfilled by Amazon, Fulfilled by Merchant, or both to be included. 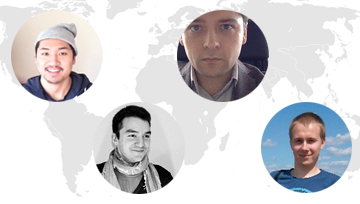 Send specific templates to only a certain country or combination of countries; very useful for sending language translated emails. 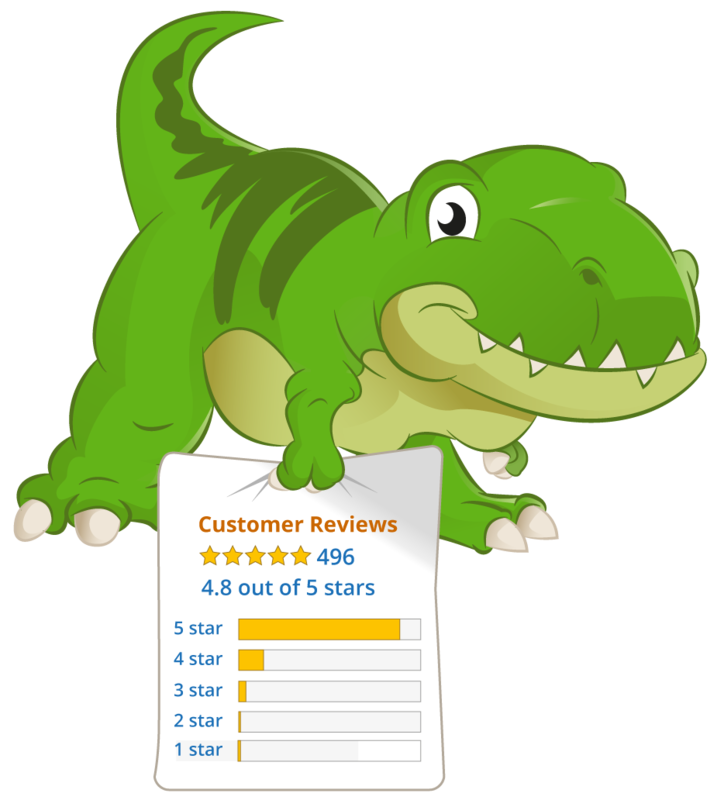 Monitor your ASIN listings for any new product reviews without having to pull them up manually. Other reputation monitoring features also coming soon. 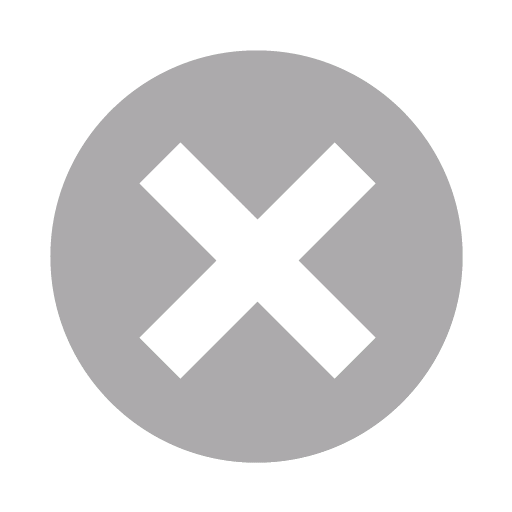 We will automatically monitor your ASIN listings for any new product reviews posted, and when they match the preferences you set - we will alert you via email. 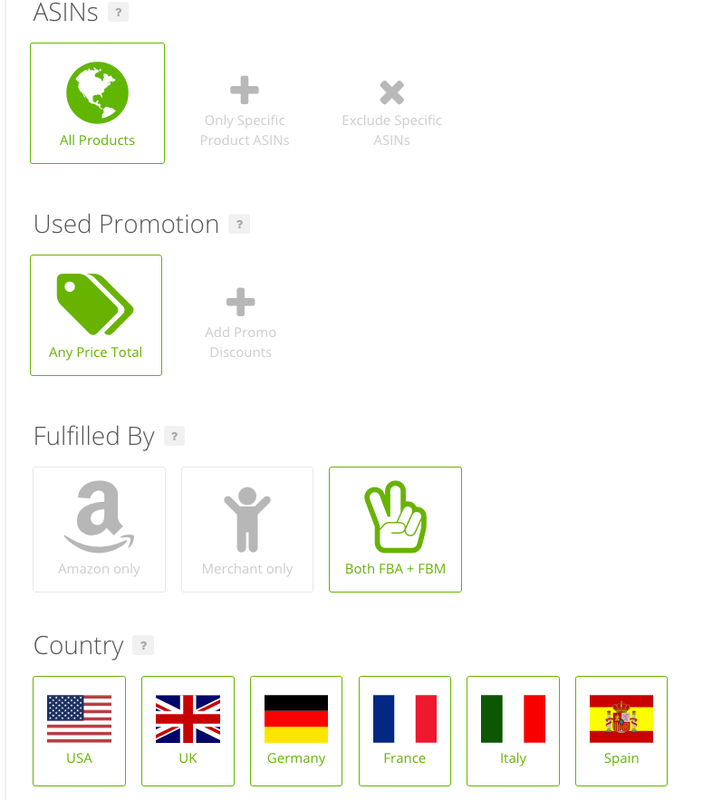 You can add & track an unlimited amount of ASINs in any country marketplace. Quickly view who has been sent emails & those with any pending emails. 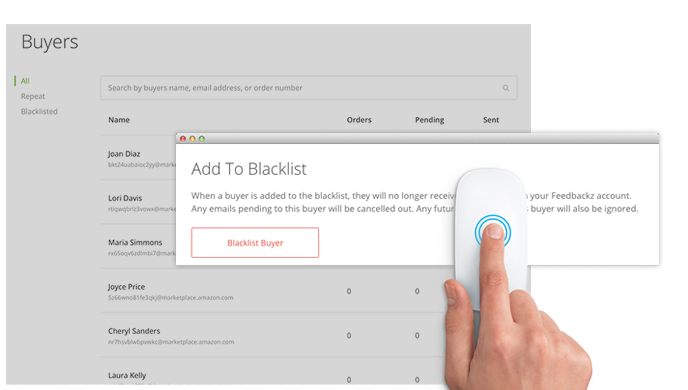 You can also blacklist a buyer from any future emails from the app. Prevent a specific buyer from receiving any further communication emails from you, including any orders they may place in the future.